D.E.A.R.S. 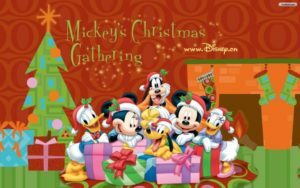 December Meeting & Christmas Event | Disney Emergency Amateur Radio Service Inc. The D.E.A.R.S December Club Meeting and Christmas Event will take place on Wednesday, December 14 at 6:00 pm. The V.E. Test Session will take place at 5:00 pm prior to the meeting and is open to anyone who would like to obtain or upgrade their ham license. This includes all levels of licensing. You do not have to be a D.E.A.R.S Club member to attend the V.E. Test Session or the Club meeting. We invite everyone to attend. Our guest speaker will be Lynn Deffenbaugh KJ4ERJ whose presentation will be about APRS. Lynn is an expert in this field and I am positive will prove to be both interesting and informative. We will have a scrumptious dinner at this meeting so please bring your appetite. There will be no charge for the meal. Larry, Rebekah and I will be cooking up a feast to make your mouth water!! Our Board members have agreed to bring some beverages. The location will remain the same as it has been for the past several months. The “Chat and Chew” will not take place this month since we will be having a meal at our meeting. However, if you would like to arrive early and assist with setup at the conference room, your help will be greatly appreciated. I hope to see you all there with a smile on your face and a desire to learn, eat and have fun! !